Over the coming 12 months we will see a horde of new greener and more economical cars roll out onto our roads. Here are some of the highlights to look out for over the coming year. The order books have already opened for the five-door edition of Audi’s tiny A1, ahead of the first deliveries in February. Audi calls this body style “Sportback”, presumably because “5-door” might sound a little too pedestrian to command base prices stretching from £13,980 to £21,270. The additional doors require an extra £560 over the equivalent three-door trim levels. The rear doors have been squeezed in without additional length or a longer wheelbase. The roof has been raised fractionally, but you’ll need to run out a tape measure to detect the extra 6mm. You probably won’t feel the extra 25kg of weight either, or the resulting sub-second delay in getting to 60mph. Four engines are offered from a 182bhp 1.4 TFSI petrol down to the 104bhp 1.6 TDI. The lower-powered diesel achieves a 74.3mpg official consumption and 99g/km CO2 rating – handy for Londoners aiming to dodge the Congestion Charge. 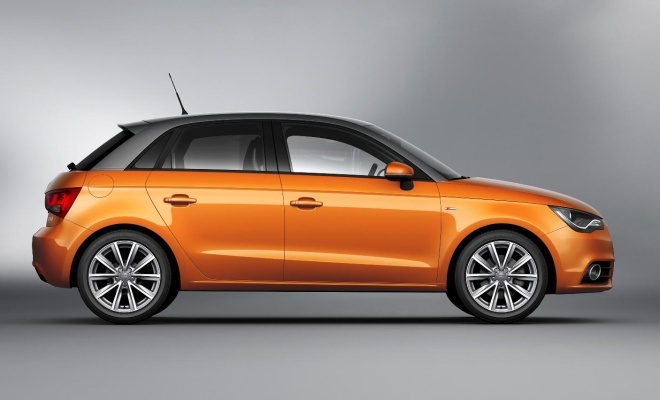 Also due in 2012: an entirely new Audi A3 should be previewed in March at the Geneva motorshow. The production version of the three-door A3 should arrive in the summer, with a five-door Sportback added to the range before the end of the year. BMW’s new 1-Series models all include a driving-mode selection switch, offering an Eco Pro option designed to conserve fuel (alongside a Sport mode to help waste it). In March a dedicated low-consumption model will arrive, where the fuel-saving measures go beyond a few tweaks to the car’s settings. Fitted with a 1.6-litre turbodiesel developing 116bhp, the 116d EfficientDynamics edition should deliver 74.3mpg and 99g/km. 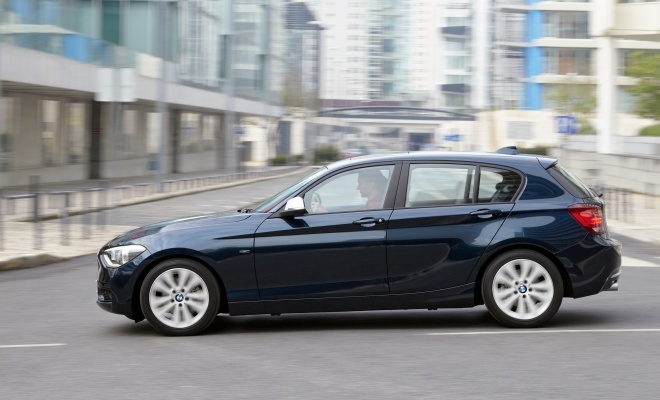 These numbers are reached through a range of measures including the stop-start function and on-demand ancillaries that are shared with the rest of the 1-Series range. In addition, the EfficientDynamics edition gains lowered suspension and longer gearing. And most significantly, a smaller, lighter engine – the standard 116d employs a bigger 2-litre engine to deliver more brawn at the expense of worse economy. The ED won’t be a wimp, though – according to BMW it should muscle its way to 62mph in just 10.5 seconds. 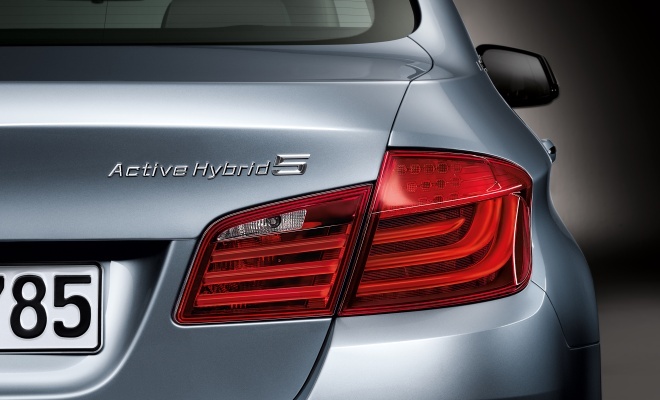 March will also see the debut of BMW’s ActiveHybrid 5. The mild-hybrid 5-Series saloon boasts a 340bhp six-cylinder petrol engine mated to an eight-speed automatic gearbox that has had a 40kW (55bhp) electric motor squeezed within its innards. A 96-cell battery sited between the rear wheels squirrels away a modest 675Wh of energy, enough to push the big saloon for a couple of miles or to whisk it up to 37mph unaided. In practice, of course, the batteries will simply buffer braking energy for more efficient acceleration, delivering small but worthwhile improvements in economy and emissions. BMW hopes to deliver 44mpg and 149g/km as long as you are content with the smallest and least ostentatious choice of wheels. Scrabbling to an electrically assisted 62mph should take just 5.9 seconds. Later in the year, exactly the same combination of engine, gearbox, motor and battery will be bolted into the new 3-Series bodyshell to create the ActiveHybrid 3. The smaller BMW hybrid is due to go on sale in the autumn. Also due in 2012: the new F30-generation 3-Series will go on sale in February, while the second model in the latest 1-Series range, the three-door hatch, should arrive in showrooms in September. 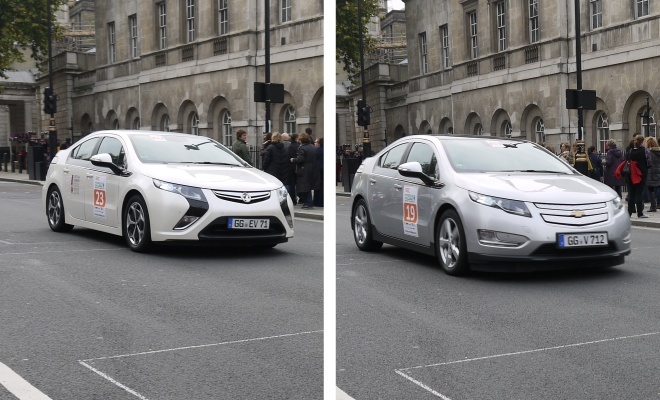 Two takes on General Motor’s range-extended electric car will arrive in 2012, a lightly Europeanised version of Chevy’s Volt and the fully native Vauxhall Ampera. As well as a more interesting nose the Vauxhall should also offer suspension better suited to our roads, plus different levels of standard equipment. There’s also the matter of warranty, which might matter more than normal given the unproven and complex nature of the Voltec petrol-electric platform. Chevrolet will offer an eight-year guarantee on the battery and transmission, while Vauxhall will offer its comprehensive lifetime warranty. Starting at £28,545 after the government’s £5,000 plug-in car contribution, the Volt base price is pegged £450 below the cheapest Ampera, before options. Also due in 2012: Diesel hybrids from Citroen, Peugeot and Volvo. 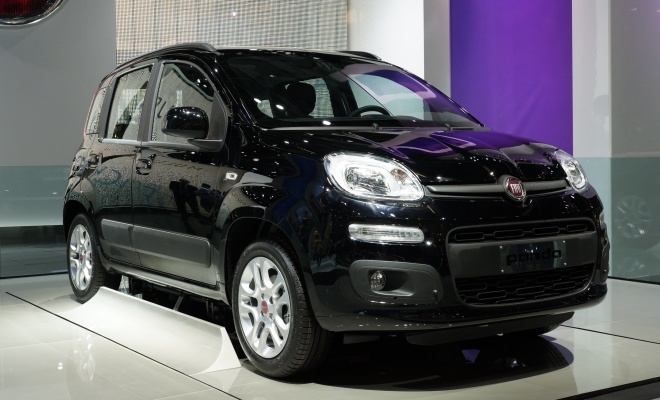 It may not be as fashionable as the retro 500, but the new Fiat Panda will be almost as curvaceous – even if its curves are mostly oblongs with the corners filed off. Engines will include two TwinAir options – a turbocharged, 875cc two-cylinder unit borrowed from the 500, providing 85bhp, or a new naturally aspirated (and no doubt cheaper) version of the same engine delivering 65bhp. Both will come with stop-start, and both will limbo under the 100g/km CO2 barrier – the turbo version managing 99g/km and 67mpg, the lower-powered version possibly dipping under 90g/km. With only a four-star Euro NCAP result, the Panda won’t be the safest new supermini on the road, but it should be among the most economical. Also due in 2012: Fiat’s TwinAir should show up in the stubby Alfa Romeo MiTo supermini in April. The TwinAir will sit below its four-cylinder MultiAir cousin in the range, giving a petrol-engine choice with CO2 emissions of just 98g/km. The new option should be better suited to urban motoring than the existing low-carbon MiTo, the 1.3 JTDM-2, which scores 95g/km but being a diesel produces more noxious emissions.